So here we are on the first Sunday of 2016, and The Legal Genealogist stops to take stock on the DNA side of genealogy. It’s the time for each of us to ask ourselves: What am I doing right, what am I doing wrong, and what could I be doing better in 2016? And judging from reader comments and complaints, there were loads of New Year’s Resolutions we all made back in January 2015 to make ourselves better genetic genealogists — and then promptly broke. 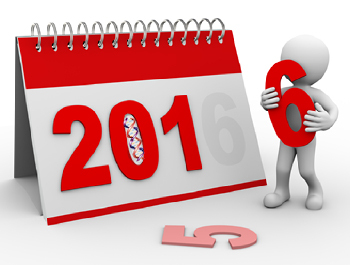 So… in the hopes that at least this genetic genealogist will do better in 2016, here are my suggestions for five resolutions we can all make that would benefit us all as genetic genealogists. I will do my paper trail genealogical homework. I get it. I really do. I understand only too well how much we all want DNA testing to be the magic bullet. Just take this test and — presto! — all of our genealogical brick walls will come tumbling down. And that’s fantasy, not reality. DNA testing just doesn’t work that way. The simple fact is that, as much as I really really really want to know who the parents were of my scoundrel second great grandfather George Cottrell, I’m not going to get the answer by DNA testing alone. Barring any cousins marrying cousins at that level, I have 32 third great grandparents — 16 sets of them. And I can test myself and my cousins until the cows come home, but without the paper trail research I’m not very likely to figure out whether any given match is from this set of third great grandparents or that set of third great grandparents — or from some other ancestral couple further back in time. As much as I’d love to wave the magic DNA wand and get the answer, the reality is that DNA testing is just one more type of evidence that has to be used in conjunction with — alongside — hand-in-hand with all the other types of evidence we collect along the paper trail. It’s something we use with our other tools, not instead of our other tools. So I resolve to do my paper-trail homework. I will do my DNA educational homework. Let’s face it: not only is DNA not the magic bullet we want to solve all our genealogical mysteries, it’s also hard. Recombination! Triangulation! Heteroplasmy! X-chromosome inheritance patterns! Ranges of shared centiMorgans! And it’s not like we can simply pick up a book, study it and come away knowing everything we need to know, because the field is changing so fast that some days it feels like we’re running a million miles an hour just to have a chance of staying in one place. I’m going to take time to educate myself on a broader deeper level. I’m headed to an advanced DNA course later this year. I’ve added a couple of additional blogs to those I try to read on a regular basis. I’m trying to stay up with what’s being discovered and the techniques that are working — as well as learning to set aside some that we’re now realizing don’t work as well as we hoped they might. This is an area where we’re going to lose if we snooze, and the only chance we have to make the most of this tool is to educate ourselves. So I resolve to do my DNA educational homework. I will do my testing company homework. Along with the other homework I need to do in 2016, I need to make sure I keep abreast of all the changes at the testing companies, so I know what I’m getting into — and what I’m asking my cousins to get into — when I recommend a particular test. We need to be clear, when we agree to test, about what information about ourselves we’re agreeing to let the testing company use, and how it’d going to be used. This is largely a matter of personal comfort levels: some people have no problem in disclosing their entire genomes with their names and other identifying information attached; others won’t take a genealogical DNA test without using a pseudonym. Now let’s face it: when we test with a big profit-making company, we’re not only customers who pay for a service, but we’re also part of the product that company then uses or sells to others in the hopes of making a bigger profit. That’s certainly what’s going on at 23andMe and at AncestryDNA: if we test with either of those, we agree to let the companies use our anonymized DNA — data with our personal identifiers removed and aggregated with the data of others — for all kinds of purposes. There’s nothing wrong with that, as long as we’re told about it and agree to it when we test. And that means we have to read the documents and agreements and terms of service presented to us and not just click through blindly agreeing to who knows what. That’s particularly true since the clickthroughs may be giving agreement to much more: both companies want us to agree to allow them to use non-anonymized data — that is, data with names and identifiers attached — and make it very easy to just click through to that without thinking. It’s our responsibility to know what we’re agreeing to. It’s our responsibility to know what we’re asking our cousins to agree to when we ask them to test. We have to read those agreements, understand those agreements — and say no when we’re uncomfortable with the terms of those agreements. This is part and parcel of being an ethical genealogist, and we should all read and follow both the National Genealogical Society’s Genealogical Standards and Guidelines, most particularly its “Standards For Sharing Information With Others” and the Genetic Genealogy Standards developed by an ad hoc committee of genealogists, genetic genealogists and scientists to address some of the particular issues arising from DNA testing. Understand that what these estimates do is take the DNA of living people — us, the test takers — and they compare it to the DNA of other living people — people whose parents and grandparents and, sometimes, even great grandparents all come from one geographic area. Then they try to extrapolate backwards into time to estimate (or guess) what the population of, say, Ireland or Egypt looked like 500 or 1,000 years ago. Nobody is out there running around, digging up 500- or 1,000-year-old bones, extracting DNA for us to compare our own DNA to. Please… read up on the limits of ethnicity estimates. And then put that aside in favor of all the things DNA tests really can do for genealogy. I will not delay in getting that older member of the family tested. Goes without saying, doesn’t it? How many of us bid a sad farewell to a loved one in 2015? How many of us will have to bid farewell to someone we love in 2016? How many of us ourselves will not be here to ring in the New Year of 2017? With autosomal DNA, then, getting a grandparent to test is better than getting a parent to test, and getting a parent to test is better than testing yourself. Every generation further back that we can test means a more complete database — and more and better matches. So the number one priority resolution for 2016 — as it was in 2015 — has to be not to lose that genetic legacy. Let’s get our oldest generations tested. Bravo, Judy! We are on one accord! I have those same goals in mind, except that my DNA education will not be at the advanced level! I wish you success in sticking to these resolutions. Happy New Year! And I wish you the same success! bowed head, and high five! thank the Lord for salt licks, my dad fed us well on venison in early childhood!! Great resolutions all – and fortunately #3 & #4 can be partially accomplished by reading your blog each Sunday! And a bunch of others too! Is it likely that aboriginal blood in my mother, and in my grandmother would show up in my DNA test? My family is so racist….I would love proof to break through the bigotry! Only possible answer: it depends. How much and how recent is the aboriginal ancestry? Each person inherits 50% of our autosomal DNA from each parent, but only 25% (on average) from a grandparent. 12.5% (on average) from a great-grandparent, 6.25% (on average) from a 2nd great grandparent and so on. So very quickly in terms of generations there may not be enough DNA shared with a single aboriginal ancestor to be detectable. In the last 6 months of 2015 I tested my mother’s brother and sister (I had tested my brother and self earlier in the year). Wish I could test my mother but she died 5 years ago as did her two older sisters. I’ve just sent kits to two 1st cousins – children of those two sisters. So glad they agreed to test! Dad passed in 1995 and was the last of his 9 siblings. I’m still waiting to hear if the granddaughter of my Dad’s only living 1st cousin (98 years old) has convinced her grandmother to DNA test. Sure hope so. Am planning to ask several of my Wiseman cousins to test. This DNA stuff is frustrating but really cool when things come together. Am having a bit of trouble right now with understanding that triangulation thing and reading about it seems to confuse the matter even more! Yep .. agree 100% with your resolutions. Looking forward to seeing you in SLC! Amen to Resolution 1. My husband and I are the oldest members in our families now and how we wish we had been able to test our parents–but alas the last of them died in 2001 before the testing was really accessible. We’re working with cousins as the next best thing! I would like to get my mom’s DNA tested for her birthday. She is adopted and really wants to know her race and ethnicity. Is there a test that will give her answers? At the continental level, any autosomal test (AncestryDNA, Family Finder from Family Tree DNA) can do a good job of distinguishing ethnicity and race (European from African from Asian). It starts to fall apart at the regional and country level since it’s essentially impossible to tell, say, German from French. But if the broad categories will do, the autosomal test will be the way to go.